A state of mental or emotional strain or tension resulting from adverse or very demanding circumstances defines stress. It effects every system in our body. Many emotional and physical disorders that have been linked to stress including depression, anxiety, heart attacks, stroke, hypertension, increased susceptibility to infections, infertility, and a host of viral disorders. Our society fosters a high level of stress. We have almost become numb to its existence, and many people don’t realize that they are overloaded with stress. How many of the following warning signs of stress overload can you identify in your life? Stress puts our bodies in a “fight or flight” response which can put tremendous wear and tear on our systems over time. That is why learning to relax and care for ourselves is so important. To learn more about the warning signs of stress, visit The American Institute of Stress. 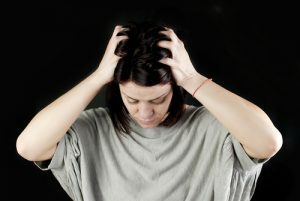 They have a long list of common symptoms and signs of stress here: http://www.stress.org/stress-effects/. Share with us what has helped you deal with stress. How do you de-stress?